For a company that aims to introduce electric cars all over the world, Tesla only had a couple of very expensive ultra-luxury models for us to choose from until now. As a result, the confidence that Elon Musk had build up diminished with time and the stock prices have fallen by over 30 percent in recent months. The response from the market was simple; bring us an economy car so that we can finally be able to afford the electric car technology. Elon Musk had announced the budget 35,000$ range Tesla Model 3 quite a while ago, the proposed date of release of the car was pushed ahead, again and again, thus raising question marks about Tesla’ ability to bring the costs down where average people can afford it. Elon Musk had targeted the magical figure of 35,000$ because he knew his competitors especially Nissan and Honda had their eyes on this figure as well. However, the work is not yet over for Elon Musk and a tough couple of months lie ahead as Elon said that a new Gigafactory is needed for the production and pre-orders will begin in March soon after the unveiling. It is crucial for the company to beat all competitors here as it is the only one that produces an all-electric line of cars and if it gets overtaken in that regard, what’s the point? The company is also failing with the projected sales figures with the Model T and Model S versions, so it is kind of an all-in-or-nothing moment for the Elon Musk. He has once again set an ambitious target for the sales of the latest Model 3 with positive cash flow, 80 new retail locations, service centers and almost 300 new recharging stations around the states. The new Model 3 will reportedly have a range of 200 miles and deliveries will start in late 2017. 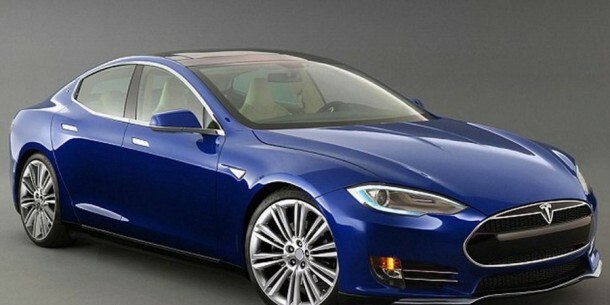 The car’s overall size will be smaller than the previous luxury versions from Tesla.